This is the eighth of my entries into 2017’s rendition of the 12 Days of Anime aniblogger project. For more about the project, read appropriant’s introductory post. Please also check out the spreadsheet containing the work of all the bloggers participating! I am pretty far up the Macross creek at this point, which is to say I have crossed the point of no return and will now inevitably see the entire Macross franchise—weird random OVAs and side projects and all. This is all very well for me, seeing as I like Macross, and was the key factor in motivating me to watch Macross 7. I forget where exactly, but I recall that at some point Thaliarchus noted that 7‘s chief virtue (if you can call it that) is that it goes on long enough that once you’ve reached the end, you’ve already been massaged (or perhaps brute-force battered) into accepting the Macross way it represents. As for me, I had already waltzed willingly into the cell. This isn’t to say that Macross 7 is something that can only be enjoyed by those who have sacrificed their sanity to Kawamori’s pressures, only that having become a Macross space tuna makes swimming in the franchise’s waters a natural experience. 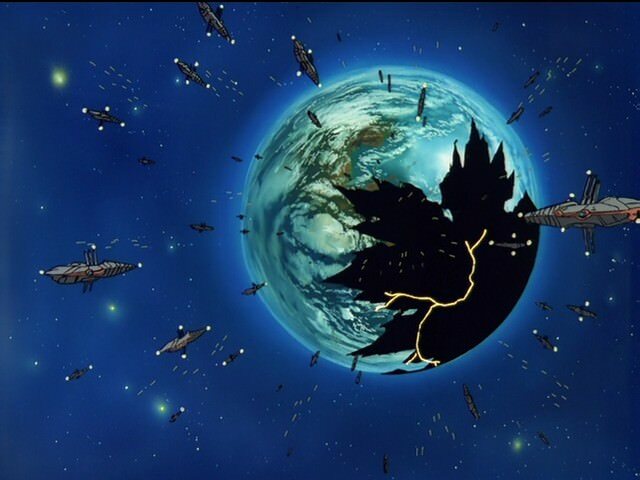 Because, you know, Macross 7 is rather dumb, and very Macross. 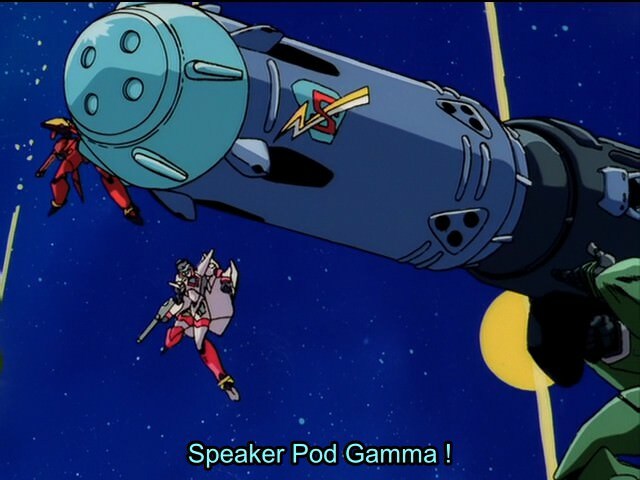 Or rather, in being rather dumb it is very Macross. Mylene wears a lot of cute clothes, makes good faces, is kind of bratty, and turns out heroic despite all of that. Basara yells and sings a lot, acts like the hardheaded dumbass he is, makes out with a space vampire, and is still fun to watch. And Gamlin is a good boy (I could go on). Having said all that, though, it’s also disingenuous to pretend that 7‘s length isn’t good for other things besides delivering an extended lethal dose of the “Macross Way.” In a 49-episode show, you’re bound to get some ringers (10, 26, 27, 38, among others) and interesting themes popping through now and again. The merits and demerits of the show aside, Macross 7 in 2017, as I say, was a unique experience for other reasons as well. It’s not often that we see shows of this length and particular structural style (primarily episodic with a loose overarching narrative) these days, especially in concert. Taking on a long commitment like this, especially without the motivation of watching with others, was rather unusual as well, but in the end I’m glad I did it. I think it’s good to watch things on your own, and doing this with a Macross thing, when it could add to the stacking layers of affection I’m always building for the franchise, was particularly nice. Macross 7 as a subject in this series is perhaps something of an outlier, as the show itself is special to me more as a symbol of engagement with the franchise as a whole than an isolated experience. Among my anime loves, Macross is special for its iterative nature and my own eagerness to be pleased by it. I don’t think this makes me blind to its faults. But at the same time the openness to, and expectancy of pleasure is something oddly comforting when engaging with something new. In Kawamori I trust, perhaps, which is not the same as never being disappointed. 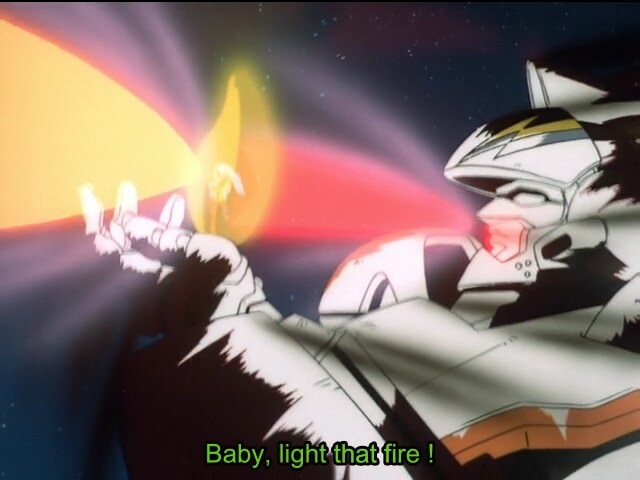 But if a song can overcome a galactic demon, certainly my similarly inconsequential love for Macross can conquer a flaw or two. Lest I forget to mention: Giant Robots (doing a Macross Thing). Question: What anachronistic shows have you seen this year, and what was the experience like?